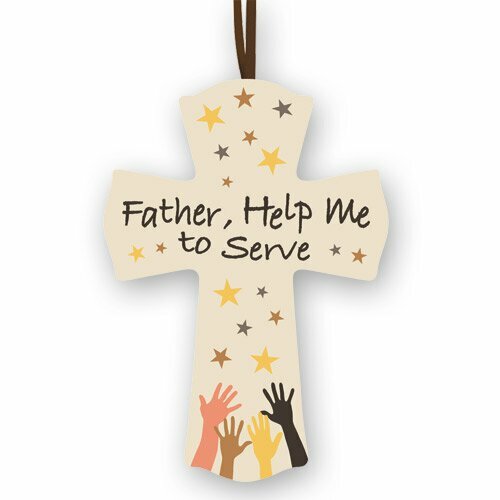 This wood cross is the perfect way to share your love for serving the Lord. Includes a ribbon hanger and the bold verse "Father, Help Me to Serve." Value priced for give-aways during volunteer and service gatherings. Shop the matching tote (#VC586), Key Chain (#VC398) and Mug (#RS060).